This week just finished marked my first week of work. After 8 months, which included a temporary retreat to North America, I am finally one of those damn foreigners stealing English jobs. On Monday I headed down to Egham for the day for my "induction," quite a sinister sounding word for something actually quite pleasant. In North America we would call it something warm and fuzzy like a "welcome session," "onboarding" or "orientation." What it all works out to is the usual first day stuff, meeting some folks, signing some HR forms and getting set up to join the team. I had arrived in Egham about 45 minutes earlier than I needed to be, so I wandered around for a bit. You probably have never heard of Egham, but it is the event of quite a famous and world-changing event. It might be somewhat more recognizable if I said it was also known as "a meadow that is called Runnymede." In 1215, the Great Charter of English Liberties was signed by King John. The Great Charter, known more famously as the Magna Carta, lists 49 specific grievances that the King agreed to remedy, and demanded that the king proclaim certain rights, respect certain legal procedures, and accept that his will could be bound by the law. One of the first documents of its kind, the Magna Carta forms the basis of common law and the constitutions of most English speaking countries. The document is concluded with the phrase, "Given by our hand in the meadow that is called Runnymede, between Windsor and Staines, on the fifteenth day of June in the seventeenth year of our reign." 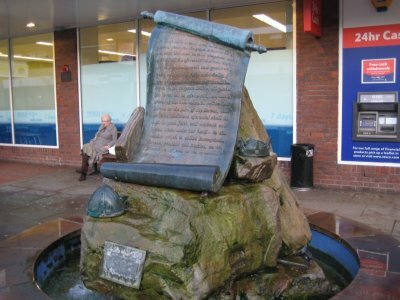 Today, between Windsor and Staines is the town of Egham, which commemorates the signing of the Magna Carta with a number of statues, including this fountain that sits outside of a Tesco. After my induction, I headed up to Sheffield to start at my first client. I'll probably be up in Sheffield until at least the end of April, so expect a few more blog entries from there. I didn't see too much my first week, instead using my free time to sleep, as I have to get used to getting up in the mornings again. 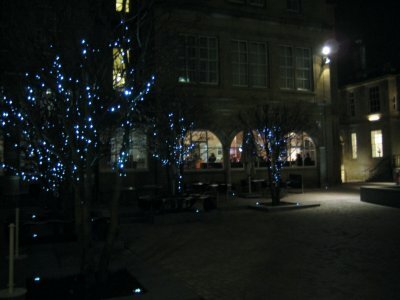 It is a nice place, Sheffield. Formerly quite an industrial town focused on mining and later the steel industry, like many places it has tried to rejuvenate itself in the 1990s and 2000s. 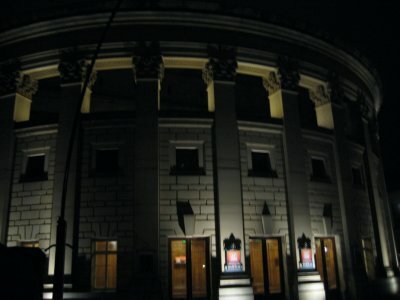 Today, the city centre is quite pretty, with a number of beautiful old buildings, many open spaces and squares, a number of innovative art, culture and theatrical installations. 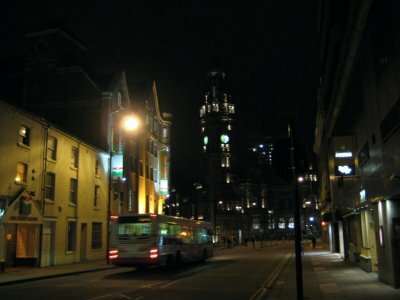 More on that in future entries, but for now a few photos of the city centre at night.